So after 2 years my pond seems to be doing well in terms of overall health of the desired fish that I've stocked, YP, HSB, BG. I purposely have not stocked any LMB because I did not want them gobbling up all of the YP. My primary goal is to have a good YP pond with some BG mixed in. After fishing this weekend, I got a hand full of YP, BG, but I also got about 10 small bull head. They appear to be very young and just big enough to bite the hook. I do not want to let the BH get out of hand.. I set a trap and got 2 more and will continue to trap them.. I realize I'll probably never get rid of all the BH but what are some other ways to help control the BH without having to sacrifice the good fish in the pond? HSB will eat them up...bullhead will cruise open water and surface feed, especially if you're pellet feeding your BG and YP. 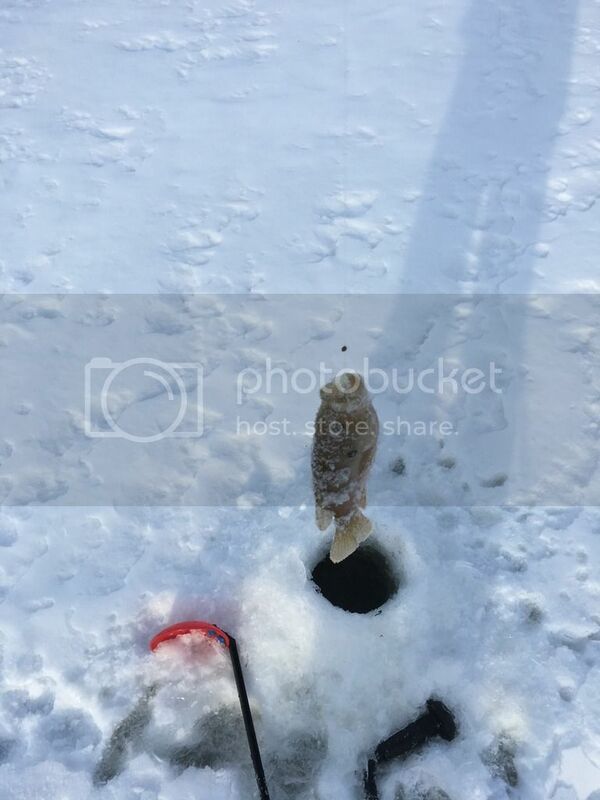 The bullhead will out compete both for pellets. Keep the traps running to monitor the BH and help reduce their numbers. Yeah, that's kinda what I figured. I'll have to keep working the traps..Has anyone had success by netting them ? Do you have regular BG or hybrid BG? Just curious how the YP and HSB are doing on maintaining the BG population. I have regular BG, RES and somehow ( I did not stock them) warmouth BG. My initial stocking was 400 YP and 250 BG 150 RES. After one year I added 50 HSB. So far I don't see any big issues with the BG population. The only issue is the BH. Not sure how they got into the pond but there are definitely abundant. I have been using the cone shape trap. I need to build a clover leaf trap.. I watched a few youtube videos on how to build them. Seems simple and effective. Hey KRM. Are you sure those Warmouth aren't GSF? You know their reputation for "Just showing up". How you doing on thinning out those bullhead? Just wanted to follow up / update on this since I just now saw Mike's post. I am pretty sure they are warmouth BG but I will send a pic next time I get one. We fished the BH very heavy all summer tossing everyone of them until the bite slowed down. It is now possible to catch BG with only an occasional BH mixed in. Definitely an improvement but the BH are certainly still present. My HSB are now getting some good size to them so I am hoping come next Spring they will be putting more pressure on the BH population that remains. Warmouth are not very common in northern Ohio; actually rare individuals. IMO if you have warmouth they likely came from out of state fish stockers. Study and compare these descriptions of some common Ohio sunfish, Also consider your concept of warmouth could be hybrid bluegill. So I was able to find some pictures of what I "think" could be Warmouth... I could also be mistaken. These were taken last winter...What do you think? Mouths look big on these guys. best way to control bullheads is to call up a bunch of iowegians like me to come and catch them and eat them. That second pic reminds me of why I moved south. Brrr! if you catfish take bullhead sides skin on and fish with them. Work good for catfish and bass. Those pictured fish are green sunfish(GSF). 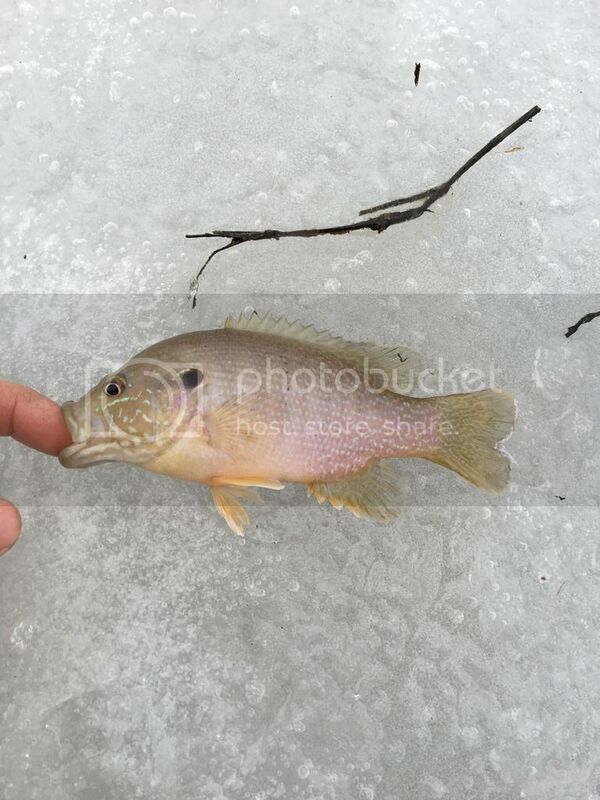 A very common panfish in most states. Bullheads are also good to eat. I have ate them before out of a bayou behind the house. I would put them in a barrel of water for a day or so to flush them out. Might even change out the water a time or two. All the pond raised CC are put in vats to flush out before processing. Looks like a GSF in the picture. Agreed. We ate them all Summer as we caught them.. We would skin them and put them on the grill. very good fish.. Looking forward to eating more in the spring until the point when their population is hopefully very sparse. I have been adding them to my pond over the past several years and my son had added some over 10 yrs ago. I have yet to catch any. I did see a cloud of fry this past summer. I was hoping to get them started but all those hungry LMB in there may just be keeping them wiped out.